I know this is an odd picture, but I promise it has a purpose. This post will follow a series of thoughts and conversations that started with the above picture of Lily’s curls. 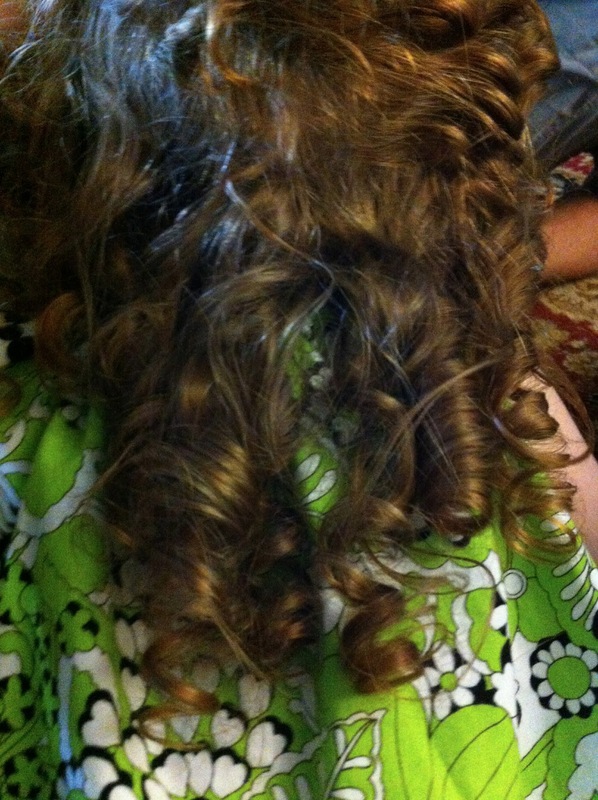 I took the picture intending to write a blog about the perfect curls. How many of us would have killed to have these curls? How many of us all but burnt our hair off as we got ready for prom trying to create those perfectly twisted, bouncy curls that look as if when we woke up that morning God had changed the texture of our hair? My child wakes up every morning with the perfect spirals. Granted, you have to lift up the top layer of loose and frizzy curls to see those spirals but they are there nonetheless. This led me to thoughts about how I hope Lily always likes her hair and never sees it as ugly or a nuisance or wishing it were a different texture or color. On the opposite side of that I hope she never becomes vain about it. How do we teach our young women that negative attention is not good attention and you can be stylish without wearing pockets with zippers that stores like Abercrombie try to pass off as shorts? How do we teach our young men to look at a young woman’s heart instead of her body? These are questions that I’ve never had to answer until now…or maybe I should have been thinking about it when I was in college and seminary but was too inward focused to see what was going on around me. Maybe I just didn’t care enough. I don’t know and it really does not matter. Because now I see the importance. I see the urgency. I see the need. I see the responsibility of the church to help and equip parents as they raise their children. I do not think it is the job of the church to raise children of its members. I do think it is our job to teach, train, and mentor alongside those parents all in efforts of pointing our children, no matter how old they may be, to Christ. It is a great responsibility. So the questions lies before us as we move forward as a church, “How do we train and teach our teenagers and children to live in the world but not be of the world?” What does that look like fleshed out? We have some ideas but if you have suggestions please let me know.